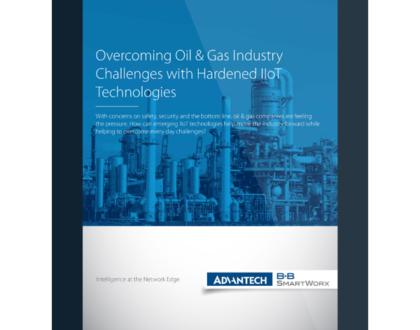 Sensors aren’t always placed in locations that make data networking connectivity easy. One rather extreme example would be the slopes of Iceland’s Eyjafjallajökull volcano, which is capable of making ground travel in the area extremely hazardous. Volcanic eruptions in Iceland don’t merely interfere with local ground travel, they can interrupt flight schedules and cargo service all over Europe. It’s useful to have some advanced warning about what to expect. So the Icelandic Meteorological Office and the European Union have installed a variety of sensors to monitor Iceland’s live volcanos. Seismometers look for ground motion. GPS sensors use satellite technology to detect movements in the earth’s crust that indicate magma build-up below. Multi-gas meters watch for changes in gas emanations, another sign of intruding magma. Volumetric strain meters observe the displacement in a liquid when pressure from surrounding rock deforms the canister that contains it. Infrasound arrays listen for shock waves in the atmosphere generated by eruptions or quakes. Sensors can even detect “inflation”, the curving of the Earth’s surface around volcanic sites that indicates magma build-up. All of these devices need network connections. But – thanks to lava flows, ash fall and earth tremors – installing and maintaining a reliable cable run on a live a volcano would be a very expensive proposition. 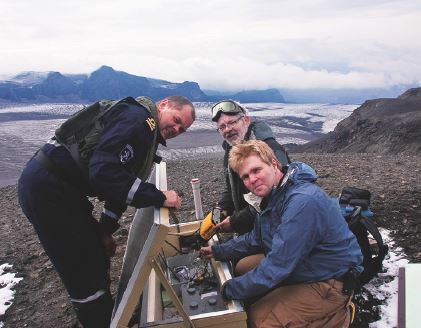 So the Icelandic Meteorological Office deployed smart cellular routers from B+B SmartWorx. 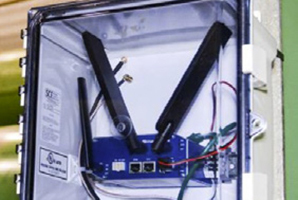 The routers create local networks for the sensor arrays and provide them with Internet connectivity via the cellular networks. With their wide array of interfaces, the routers can connect not just Ethernet equipment, but I/O and serial RS-232/422/485. Optional Wi-Fi connectivity is also available. Their rugged design and construction allows the routers to survive the earth tremors and temperature extremes. 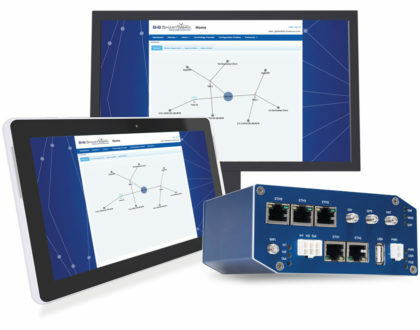 The B+B SmartWorx routers provide data protocol conversion for the many different sensors and devices that make up the system. They aggregate the data and transmit it to the control center in real time. They can also be configured with custom scripts to support custom functions. Users may develop these with Linux, C, C++ or the Python language, although Linux is recommended. B+B SmartWorx also provides a downloadable library of these scripts and users modules, like our Modbus TCP to Modbus RTU module, which allows Modbus RTU data to flow over TCP/IP networks. The cellular networks are not proprietary, of course, so the B+B SmartWorx router simplifies VPN tunneling with our SmartCluster VPN server. Smartworx Hub™, our device configuration, diagnostics & management platform, lets users manage and configure any or all of their B+B SmartWorx routers from a single location. It displays your entire device population right on your desktop.